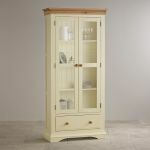 Elegant yet reliably robust, the Country Cottage Natural Oak and Painted Display Cabinet is the perfect way to showcase your glassware and ornaments with pride. 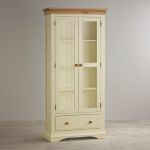 Meticulously made using only high quality solid hardwood timbers, the cabinet features a unique cream painted finish with a beautifully contrasting natural oak top. 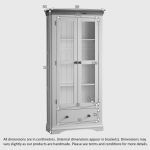 The generously-sized drawer the base of the cabinet provides versatile storage for all manner of items. 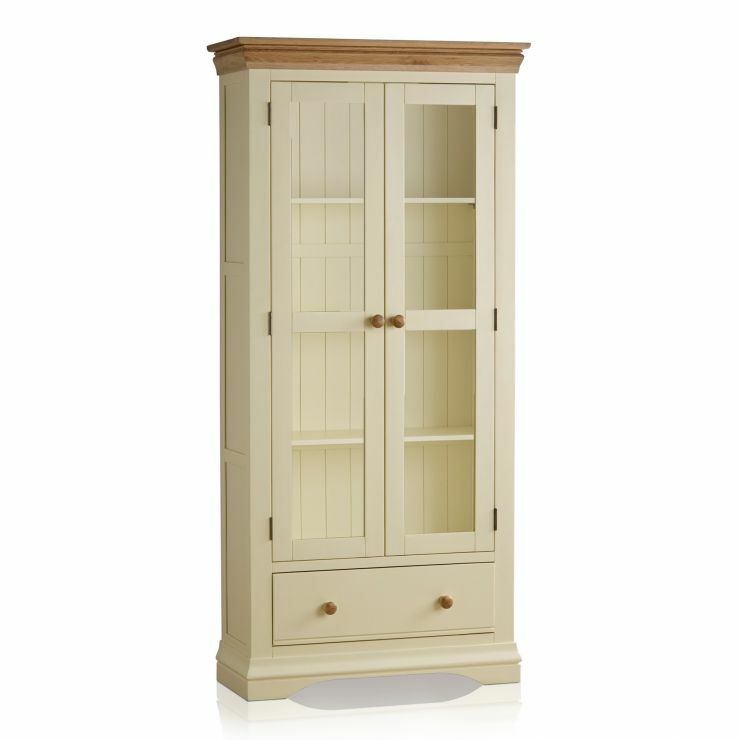 Crafted using traditional dovetail joints and wooden runners, it's exceptionally strong and made to last. 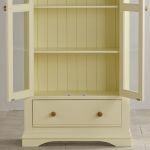 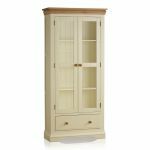 Forming part of our popular range of Country Cottage Natural Oak and Painted furniture, this elegant display cabinet is characterised by flared cornices, an arched base and delicate drop bar ironmongery. 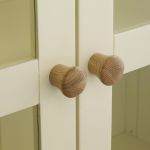 Take a look at the rest of the collection to discover matching items for your bedroom, living and dining room.